Happy release day to Finding It by Cora Carmack! You can get it in your hands right now! 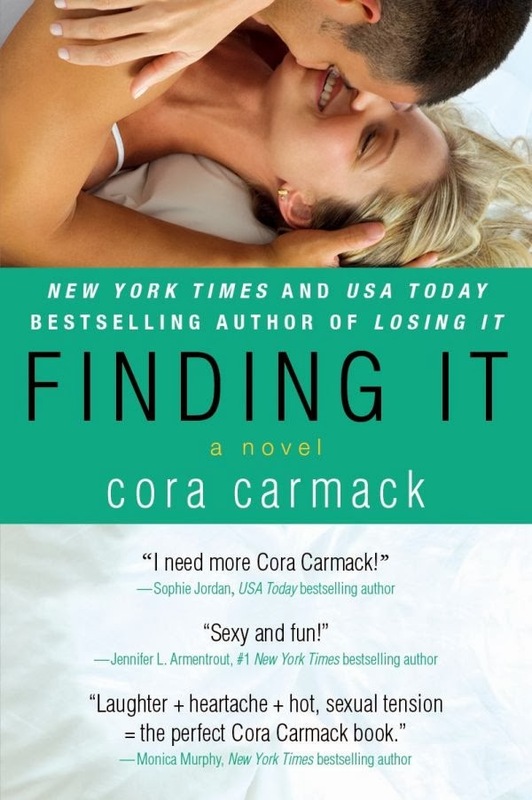 You don't want to miss this fantastic Contemporary Romance from Cora Carmack. Book three in the Losing It series, Finding It is ready to be yours on your e-reader or in paperback form! Check out all of the information regarding this fantastic novel and Cora Carmack below! 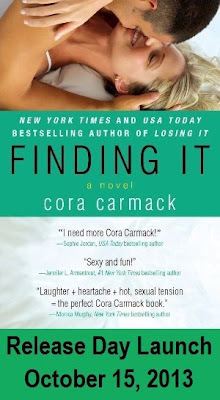 Then, celebrate Cora's book birthday by entering the giveaway for a signed copy of Losing It, Keeping Her, and Faking It! I'm Cora Carmack, a twenty-something writer who likes to write about twenty-something characters. I've done a multitude of things in my life-- boring jobs (like working retail), Fun jobs (like working in a theatre), stressful jobs (like teaching), and dream jobs (like writing). I enjoy placing my characters in the most awkward situations possible, and then trying to help them get a boyfriend out of it. Awkward people need love, too. My first book, Losing It, was a New York Times and USA Today Bestseller.